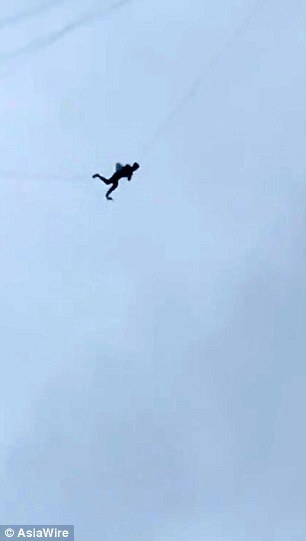 Shocking : Man stuck mid-air after trying to skip hotel bill using telecom wires [Watch Video] | Do You Know? Some people might have experienced the moment when a bill is placed in front of them and they realise that they can't pay it. It's never an enjoyable moment and it usually brings on some serious anxiety about how you're going to get out of the situation. It might happen at a restaurant or a bar, or a hotel. There are plenty of ways to deal with the issue, however a man in China thought he would avoid it altogether. 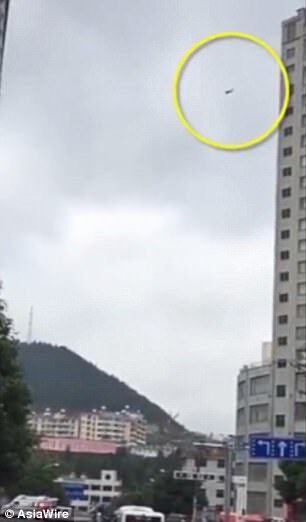 When the bill arrived at his accommodation in Panzhou of Guizhou province, he opened the window in his room and tried to use cables to climb to a building across the street. However, he struggled in the air halfway and had to wait to be rescued. 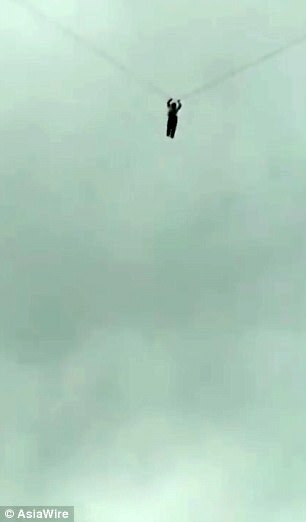 Mobile phone footage captured by onlookers shows the man dangerously hanging on a telecommunication cable some 60 metres (196 ft) above ground. 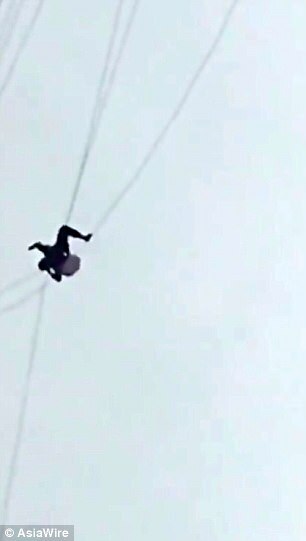 He climbed on the cable but started to struggle as he left his body hanging dangerously in the air. According to China Daily, the wires the man was holding onto dear life with, were swinging incredibly close to some other high voltage power lines. Panzhou Firefighters arrived at the scene and pulled him back to the hotel safely. 'The man did not suffer any injuries, he is safe now,' said one of firefighters. The video had over 7,350,000 views on Weibo, a Chinese social media account, where web users commented on the man's 'outrageous' behaviour. 'Does he think it's okay to put his life in danger just to avoid paying for a night's stay in a hotel?' One web user 'Joker_12138' wrote. 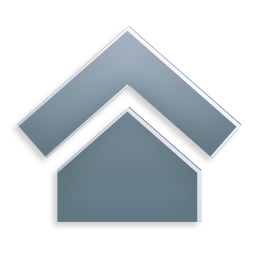 What is your take on this ? Do tell us in comments below.